It is important to distinguish between the different types of clouds and cloud applications, because not all are created equal. Practice Fusion is hosted and run a private setting; securely in data centers that only specified company employees have access to. 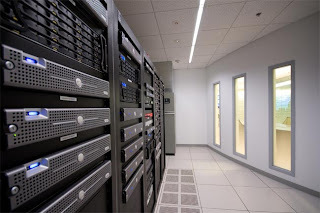 There are four levels of physical security to even gain access to our servers. We designed our system this way so we would not be susceptible to outages beyond our control. We manage and own all of our entire infrastructure so that it can be backed up in realtime, which enables to us to confidently provide a robust service level agreement (SLA) with our users (99.9 percent uptime) and describe our setup accurately as a “private cloud”. The Amazon outage event actually might have some unexpected beneficial effects, by raising the awareness and understanding of cloud computing – and the differences implicit in their implementation. In this particular case, the major distinction between two types of cloud computing is infrastructure management/control: a) cloud applications dependent upon and written on top of a utility-style service, like Amazon, where the application is susceptible to outages by its host and b) much more dependable and robust cloud applications hosted in a truly private, scalable, protected infrastructure, like Practice Fusion’s, that allow more efficient management of computing traffic and a guaranteed level of uptime for users of time-critical enterprise applications. I just ran across this post while googling "amazon server healthcare" while waiting for Cerner to load while at work in an ICU in Florida. While a two-day outage would be serious, the problem this hospital faces is poor reliability in general. The slow speed, repeated crashing of citrix local terminals, in fact as I'm typing this I've had about 8 error messages in the last 10 minutes while waiting for my 'emar' and charting software to load. And this happens OFTEN. It's a wonder we keep people alive sometimes! Great comments! It's interesting to see how vendors are utilizing the cloud/SaaS in different ways...and to different degrees of effectiveness. Well Said, you have furnished the right information that will be useful to anyone at anytime. I am impressed with this blog really. Good job done by you.